Health wearables seem to have become the next big hot thing in the health care industry. The promise is that if we start collecting health data 24/7 from individuals, we'll be able to use it in order to get people to remain healthy. Since it seems obvious that prevention is better than cure, everyone seems to have got on this bandwagon. Lots of startups are creating new health wearable devices , which are being funded by venture capitalists . Many health insurance companies also want to get into the act , so that they can be seen as promoting the health of their beneficiaries. Some have started giving away these wearables for free in order to induce customers to sign up. They want to sell "wellness", and this is a great marketing tool. This is a very seductive hypothesis . After all, isn't more data better? Isn't it logical that the more information you have about someone, the better you're going to be able to help him to manage his health ? We all agree that the healthcare system today is broken because medical care is episodic and illness-based. We are wasting all the valuable information about the individual's health in between doctor visits , so why not capture this using wearables ? Part of the problem is that this makes for a great story. The early adopters - the quantified self enthusiasts who are pioneering this trend of using wearables - are health fanatics . They're very interested in monitoring themselves , and they give great TED Talks about how technology will disrupt the doctor. They are not your typical consumers . The average Johnny takes his health for granted, and couldn't care less what his blood pressure or pulse rate is. The hypothesis is flawed, because you cannot extrapolate from the early adopters to the rest of the population. This is why we are starting to realise how limited the utility of wearables is for the vast majority. 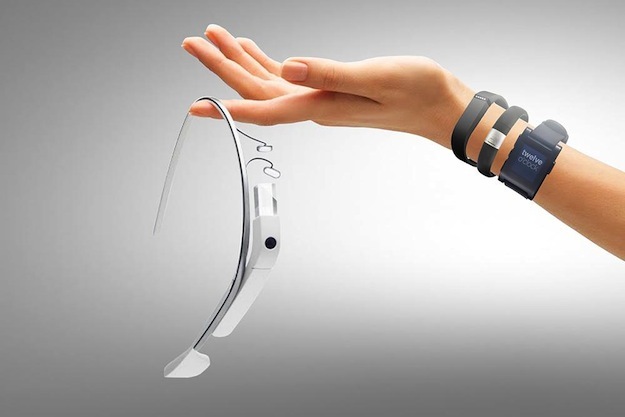 The problem is that these wearables are collecting data just for the sake of data collection . The data they capture is based on what today's sensor technology allows them to do - not what the doctor really needs. The benefits of using big data to provide useful predictive analytics for improving healthcare services is still pie in the sky. Many startup founders prefer limiting themselves to the wellness space because they are realizing that the harder problems which doctors and patients have to grapple with in the real world are much harder to solve. Since they can't get around to fixing these, they prefer addressing simple issues. After all, selling a health wearable or an app is so much easier than trying to change the behaviour of doctors and patients ! It's tempting to go for the "low-hanging fruit", but this particular fruit can be as distracting as the apple which the serpent offered Eve. Founders need to apply their smarts to solving the wicked problems of health care , and they need to accept the fact that these are complex and will require time to solve. They cannot get waylaid by the lure of " fixing " stuff just because they have the technology to do it, but which perhaps doesn't need to be fixed in the first place ! They are creating solutions for problems which don't exist in real life - they are only present in their business plans. Information is pointless if it just remains information - it needs to be converted to action. How do you convert the stream of health data which the wearable generates into a decision which makes a difference to the patient's life? This is where most healthcare wearables have failed miserably so far. It's all very well to talk about engaging with patients, but this is not enough. The data needs to be fed into the healthcare system, so that it can be used by a medical decision maker ( the doctor, nurse or health coach) who uses this knowledge in order to intervene more effectively and change the patient's behavior for the better . We then need to show that this behaviour change is sustainable, and that it helps to reduce the risk of hospitalisation. Finally, we need to show that this converts to financial savings, so that it makes business sense for someone to pay for this. This can take years, but few startups have such a long-term horizon, or such deep pockets, which is why so many of them fold so regularly. Promises and pilots are no longer enough. Let's not forget that there's going to be lots of push back from existing entrenched players . Doctors and hospitals make money when a patient falls ill, and they may fear that these interventions may affect their profits, which means they may not agree to co-operate . The healthcare ecosystem has lots of moving parts, and all that the wearables have done so far is take the first baby steps , by allowing users to track their vitals . This is no longer enough. There are lots of hurdles which need to be crossed if we want to prove that they are cost effective. We need to get all the players to work together , and until we do this, my worry is that wearables are going to remain a fad. Startups should not underestimate the challenges they will encounter . Otherwise, they will end up over-promising , and this in turn will lead to disillusionment , so that we may end up abandoning what could potentially be a helpful advance.